Considered locking in a Boggabilla vacation package? It's a breeze with Expedia, and you'll be able to buy a few nice dinners or gifts for your buddies back home with the cash you save. Secure your deal on Expedia and save up to C$590*! It's that easy! Look around our intercontinental database of more than 400 airline partners and 321,000 properties worldwide. Too many on there to choose from? Don't worry — we'll help you decide! We've got all the sightseeing info you need for your forthcoming trip to Boggabilla. Grab your travel organizer and prepare to start working on that itinerary. Getting out on the fairways is a fantastic way to enjoy the fresh air and have a ball. Challenge yourself with a friendly round at Goondiwindi Golf Club. There's a fabulous range of things to do in and around this destination. Goondiwindi Visitor Centre is an excellent resource for any questions you may have about your getaway. Pick up some pamphlets or maps and get some great tips from the approachable staff. Still got some time on your hands? The wider area offers a few wonderful opportunities to get out into the fresh air. Why not experience a bit of outdoorsy fun and go mountain climbing? Expedia presently doesn't have any property listings for Boggabilla. 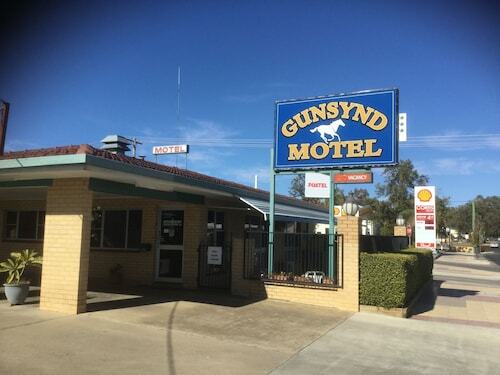 However, you'll discover a few places to stay in Goondiwindi, which is 13 miles (21 km) away. The most welcoming options in Goondiwindi are the Best Western Ascot Lodge Motor Inn, Country Roads Motor Inn Goondiwindi, The Town House Motor Inn, The Jolly Swagman Motor Inn, Comfort Inn Goondiwindi, Macintyre Motor Inn, Binalong Motel, Gunsynd Motor Inn, Goondiwindi Top Tourist Park, Goondiwindi Motel, Goondiwindi Holiday Park, Border Motel, O'Shea's Royal Hotel and Boggabilla Motel. Get through security, shuffle onboard, check your boarding pass for your allocated seat and settle in for the journey! Your well-earned trip to Boggabilla is only a plane ride away. After touching down at Moree Airport (MRZ), you'll find yourself situated 60 miles (97 km) from the downtown area. 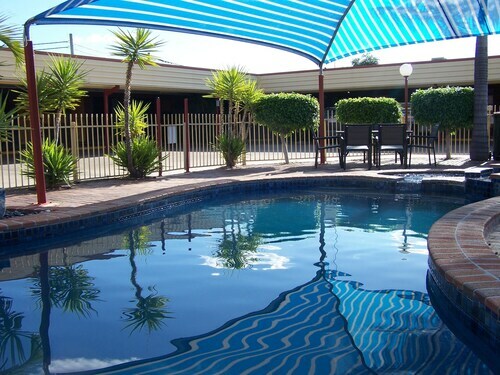 Situated in Boggabilla, this motel is within 6 mi (10 km) of Goondiwindi Visitor Centre, A and M Lehman Park, and Goondiwindi Natural Heritage & Water Park. Goondiwindi Golf Club is 6.8 mi (11 km) away. Located in the heart of Goondiwindi, this motel is within 1 mi (2 km) of Goondiwindi Visitor Centre, Goondiwindi Natural Heritage & Water Park, and A and M Lehman Park. Goondiwindi Golf Club is 2 mi (3.3 km) away. 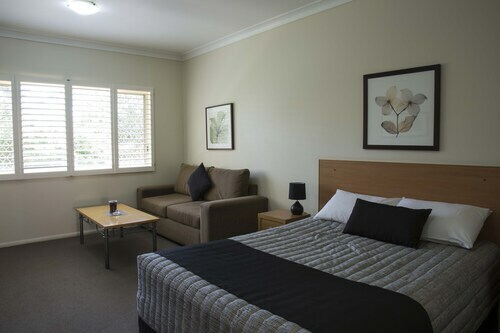 Situated in Goondiwindi, this motel is within 2 mi (3 km) of Goondiwindi Natural Heritage & Water Park, Goondiwindi Visitor Centre, and A and M Lehman Park. Goondiwindi Golf Club is 2.5 mi (4 km) away. 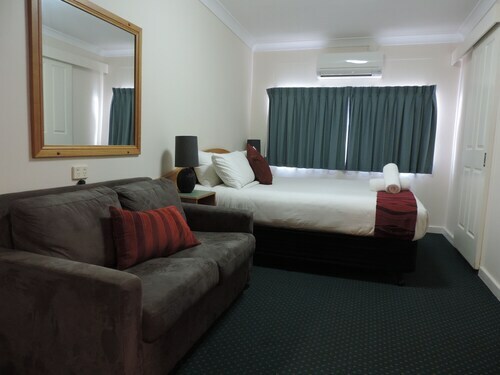 Situated in Goondiwindi, this hotel is within a 10-minute walk of A and M Lehman Park and Goondiwindi Visitor Centre. Goondiwindi Golf Club and Goondiwindi Natural Heritage & Water Park are also within 3 mi (5 km). 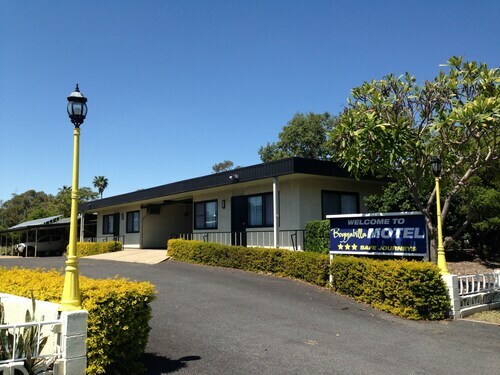 Situated in Goondiwindi, this motel is within a 10-minute walk of Goondiwindi Visitor Centre and A and M Lehman Park. Goondiwindi Golf Club and Goondiwindi Natural Heritage & Water Park are also within 3 mi (5 km). Located in the heart of Goondiwindi, this motel is within a 10-minute walk of Goondiwindi Visitor Centre and A and M Lehman Park. Goondiwindi Golf Club and Goondiwindi Natural Heritage & Water Park are also within 2 mi (3 km).